There are six common myths and misunderstandings that many students and parents believe that cause extra stress senior year. 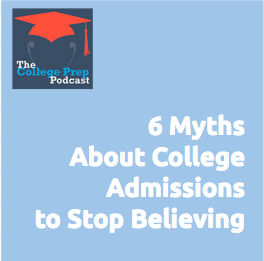 They may also hurt your prospects for getting in to college. It’s too late to apply to college. My weighted GPA for honors classes. will make my grades look better. I can hide my bad grades from the colleges by making up for it in other ways. I don’t meet a college or major’s suggested requirements, so I shouldn’t bother applying. Most students know what they want to major in.